Friday already, and almost a frost here into November. We used to have the first frost in early October. Warn't so long back neither. It's another big music weekend for us'n. We'll leave the Houds to their own devices for a good chunk of tomorrow and return to busted open bags of catfood and broken crockery on early Sunday morning, most likely. They've already managed to toss a bucket of sheet rock putty off the loft. They are capable of anything. They might even open a door and get the hell out into the night. Hopefully they'll mostly just sleep and eat, and oh yeah, poop, till we get back. I'm finding the concern in progressive quarters about the utter failure of Republican prognosticators to predict the election's outcome of some interest. I think it's genuine, this concern, and addresses a deep national problem. Oh it's easy to laugh at them in their moment of despair and failure. 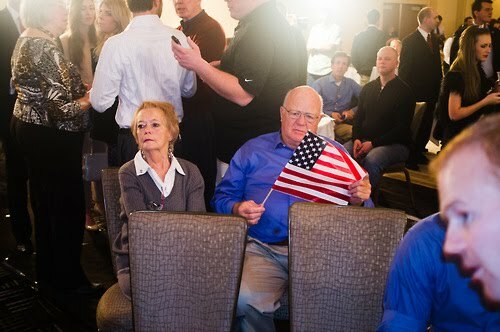 There's a whole website of pictures of shocked Republicans in the moment when Romney's loss was mostly admitted. It's funny. And it's funny, some of the details. I like the part where Romney's staff found their credit cards canceled within seconds of the End. They might have seen that coming. It was predictable from much that he said. But it's actually a pretty bad thing for our country that so many are living with seriously false perceptions. It's no wonder there's so much hate, and so little constructive work achieved. Maybe the problem was captured in the tragedy of Trayvon Martin. It was an utter misreading of reality that got him killed, and his murderer is now stuck in a trial that will probably lead to some years in prison, and a stunted life. It was all so unnecessary. Just like all the hate and ill will coming from Republicans generally. And it continues. Meanwhile, the country actually needs all of its citizens. There is a lot to do and deal with in the next few years. People who call themselves Republicans can't get much of anything done as long as they think our President is an alien Marxist. It's a wonder they can get to the store, or spend their social security checks. The first thing they might want to do is stop listening to Limbaugh. dana milbank's column yesterday was good too, in the Post. apparently this whole idea of reading only blogs you agree with, watching only Fox News because you like what they say, ignoring any poll that says your candidate is behind, isn't such a great way to function after all. maybe people will return to the balanced mainstream media! a journalist can only hope. The country is really very lucky today not to have a President Romney.